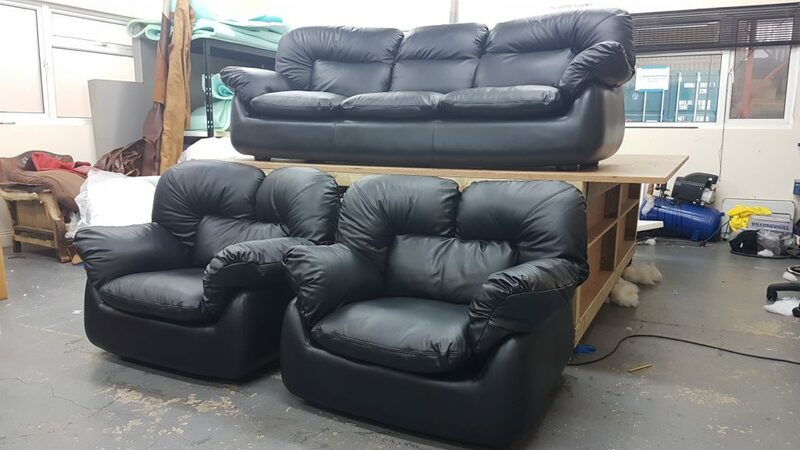 Recently at the Leather Surgeons we have been taking on ever increasing large upholstery jobs. One customer came to us with the intension of salvaging his leather suite which had a lot of sentimental value. After conducting an assessment it became apparent to ensure the most effective longevity of the suite that it would need to be completely recovered. Once the customer had chosen a stylish soft black leather from the Medal range work began. Each panel needed to be individually removed, marked up and templated due to the custom nature of the sofa this proved time consuming but all the more satifying once completed. A total of 3 large hides of leather and mulitple bags of cushion stuffing were used during the recovering process. All the original double stitching was requested to stay the same, which our machinist had no problem replicating. 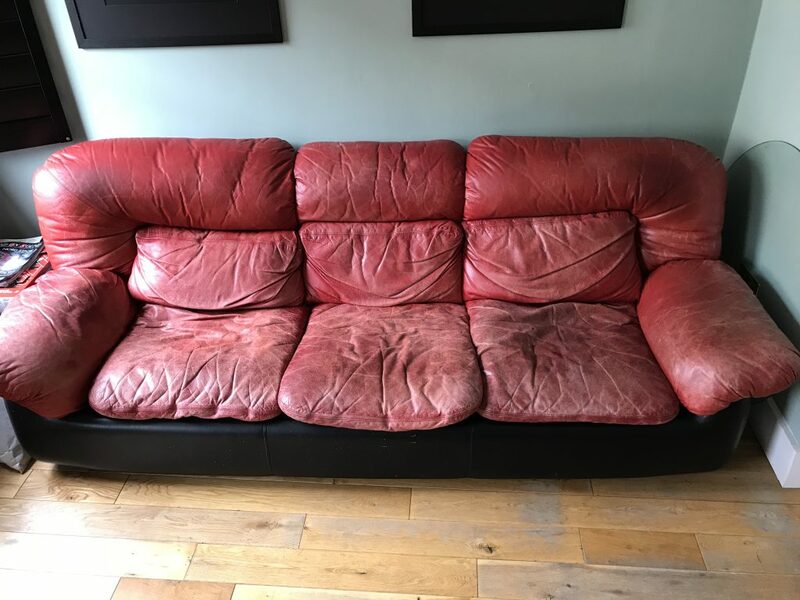 Our customer was over the moon with the end result, not only had the much loved sentimental sofa been rescued but also comfort had been hugely increased as all of the cushions were replaced with new.